Extensive construction experience positions our professional team to handle demanding projects in a marine environment. In the most rugged of conditions, Trevcon can work expertly with a range of materials, including steel, timber, rocks, and concrete. 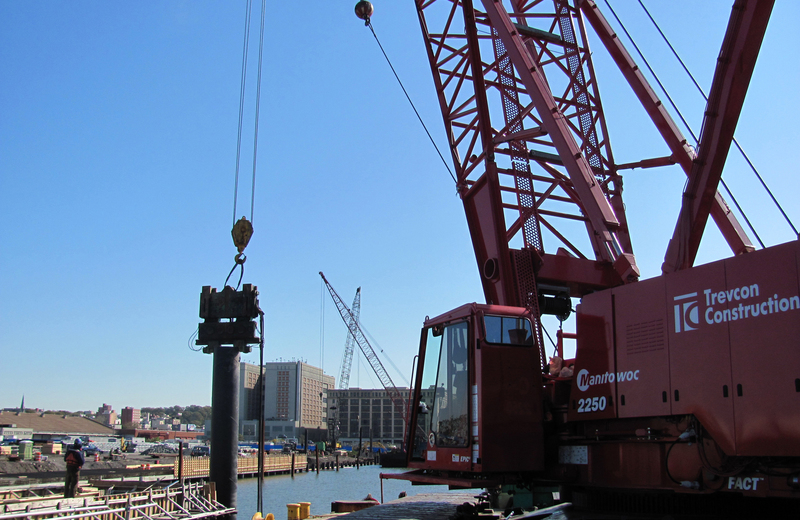 Examples of our success include constructing piers, docks, and marinas in Perth Amboy, NJ and Brooklyn, NY and building jetties and widening rivers to prevent further erosion along and near the Atlantic Coast. Trevcon’s depth and breadth of knowledge in the underwater environment enables us to be versatile in response to challenging conditions. In addition, Trevcon aims to complete the job with minimal interruption to your current operations and the local ecology.